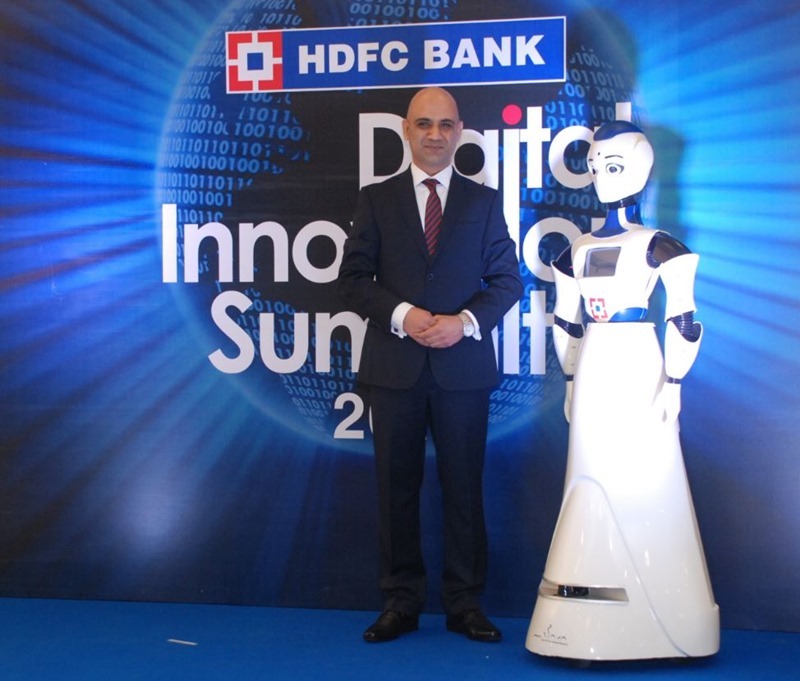 HDFC Bank becomes India's first bank to deploy Robots on there bank's branch for their customers. This interactive humanoid, intelligent robotics assistant offers list of the banking services to customers that is available inside the branch. HDFC have deployed this robot inside Mumbai’s Kamala Mills branch, and as per reports, this interactive humanoid can guide the incoming customer towards list of banking services that includes - Cash Deposit, Foreign Exchange, Loans. Once the customer selects ‘Take Me There’ option, the robot will actually take the customer to that particular counter, thereby saving time and human resources. “We’re excited to announce the deployment of our first humanoid, IRA in the Kamala Mills branch. IRA is quite unique and will serve as a technology demonstrator in the field of artificial intelligence and robotics.” - said country head, HDFC Bank. Because of this implementation, HDFC had already cutoff 4,581 jobs accross country.